Toshiba Satellite Pro R50-C 15.6" Best Buy Laptop Intel Core i3-5005U 8GB, 500GB. The Satellite Pro R50-C has been designed specifically to meet the requirements of professionals. 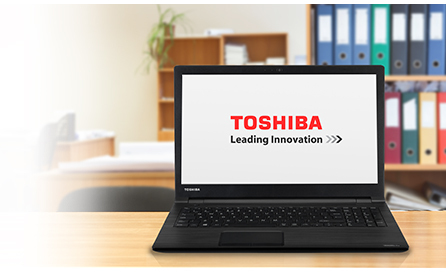 The device offers a solid combination of performance and reliability backed up by Toshibas history of over 30 years of notebook development. Designed to be a reliable companion in the business environment, the Satellite Pro R50-C has a keyboard that can withstand heavy daily use, a 3D sensor for data protection, and is drop tested to ensure its ruggedness. The Satellite Pro R50-C is a cost effective device that professionals can rely on. Thats because the device has been built to last making it great value for money in the long run. You can feel reassured by a solid design thats built to withstand the pressures of daily use with a selection of the latest features that wont date quickly. Built to work straight out of the box, the Satellite Pro R50-C reaches maximum performance without relying on external peripherals. With Intel® Core architecture, Wi-Fi and LAN capabilities, the device single-handedly delivers on every professional demand. The Satellite Pro R50-C has a 38.1cm (15) matt screen that combats the glare of office lighting, an advanced system that supports silent working and a full size keyboard for added convenience and comfort. With premium components housed in a highly resistant body, the Satellite Pro R50-C is built to handle the challenges of even the most demanding professional environments. The device is secure, too: A Kensington lock slot offers security for the device itself. 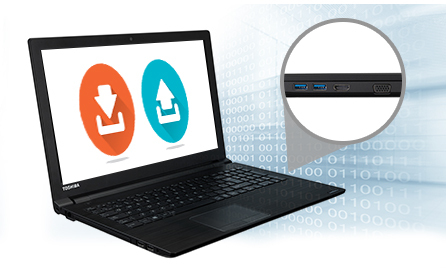 The Satellite Pro R50-C is well connected, enabling you to save, store and share data however suits you best. With HDMI, RGB, USB 3.0 and LAN, connecting to peripherals in or out of the office is easy. Plus, theres an SD card slot enabling you to rapidly export data away from the machine when required. 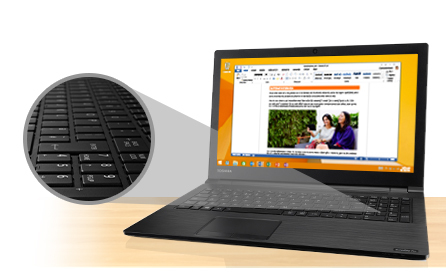 The Satellite Pro R50-C supports a wide range of accessories designed for business users. You can quickly connect additional displays and desktop peripherals with the Dynadock range, extend hard drive space with Toshibas external devices, and transport and store the device safely with official bags, sleeves, trolleys and more. 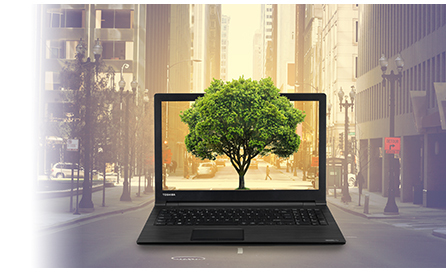 Take control of your environmental impact with Toshibas EPEAT Gold certified Satellite Pro R50-C with Eco Utility built-in. 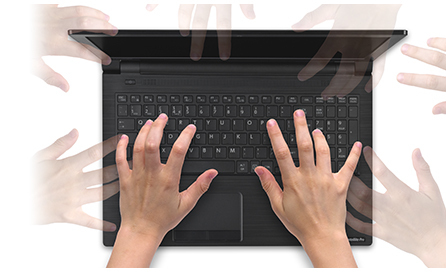 You can quickly and easily customise your computer settings to maximise power efficiency, minimise energy consumption, and reduce the impact your work has on the planet.